Anyway...What's so great about these candies is that they use just a few ingredients so that even if you don't have any special dietary needs in your home, you can easily make these for all of your guests to safely enjoy without a large financial investment. They also would make a great homemade gift. Fill a mini muffin pan with mini muffin papers. In a small saucepan, heat rice milk until it is just about to boil. Turn off heat. Stir 1 cup chocolate chips into rice milk, continue stirring until chocolate is completely melted. Stir crushed candy canes into melted chocolate. Set aside. In another small saucepan, heat remaining chocolate chips , stirring constantly until about half-way melted. Remove from heat, and continue to stir until completely melted. Spoon a small amount (about 1/2 teaspoon) of the melted chocolate into a muffin paper. Top with approximately 1 teaspoon of peppermint chocolate. Cover the peppermint chocolate with another 1/2 teaspoon of melted chocolate. Continue with remaining papers, one at a time. 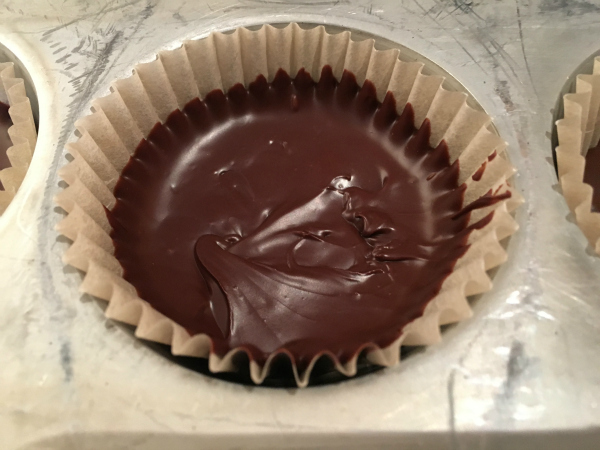 Cover muffin pan with waxed paper, and refrigerate for at least one hour.